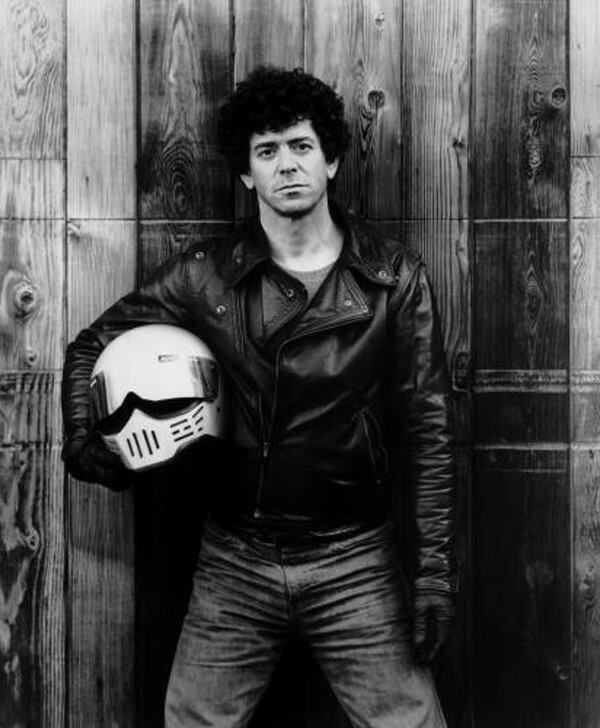 Yesterday marked the passing of music legend Lou Reed who died from a liver-related ailment, aged 71. Here, we revisit our celebration of his inimitable style. He’s a former member of legendary 60s and early 70s rock band The Velvet Underground, with critically acclaimed solo work – throw in some leather, a lot of black and sunglasses and Lou Reed has all the essential ingredients of that elusive thing “cool”. How then, has his soft leather jacket and slim shades-combo become viewed by much of the music and fashion press as such a style fail? Rock Town Hall calls Reed’s famous loose-fitting leather “rock’s longest-running fashion faux-pas” while acclaimed essayist Chuck Klosteman ridicules it in an article entitled The Leather Straightjacket for a 2003 issue of Spin magazine. Despite dabbling with an edgy buzz cut and bleach decades before Eminem successfully made it his signature – Reed briefly styled himself as a glam rock monster during a short-lived musical partnership with Bowie – he swiftly returned to his trusty loose-cut leather. Somehow, Reed’s look, instantly recognisable, almost iconic, as it is, comes off a little safe and suburban. The floppy lapels of his jacket and the ultimate rock-star motif-shades, have become an easy target for fashion and music commentators who can’t equate Reed’s soft leathery silhouette with the traditional notions of rock as synonymous with dangerous biker jackets and provocative skin-tight fits. In many ways Reed has been trapped by his image, something that has lead to music journalists making tedious links to other stars based on what seemed like fashion alone. The Fall’s Mark E Smith illustrates this in an interview featured in Tape Delay: Confessions from the Eighties Underground, By Charles Neal.